Wanda Ruth Carlock-Clement, 73, of Amarillo has completed her earthly journey, and has gone home to be with the Lord on January 31, 2019. Funeral services will be at 2:00 p.m. Tuesday, February 5, 2019 at Hillcrest Baptist Church; 2901 Martin Road. The family will receive friends and loved ones for visitation from 5:00 p.m. to 7:00 p.m. on Monday, February 4, 2019 at Cox Funeral Home. Wanda was born June 22, 1945 in Amarillo to Murl and Mary Brown. Wanda was a longtime member of Hillcrest Baptist Church for 20 years. She enjoyed cooking and writing both books and songs as a hobby. 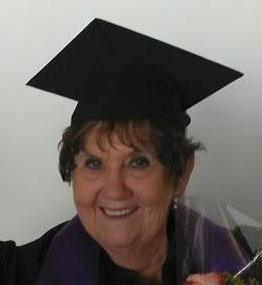 Wanda was very proud of receiving her bachelor’s degree at the age of 69 and her Master’s Degree at the age of 71. She was a loyal and selfless person with a servant’s heart who found joy in helping others. Wanda held her family close and they were the most important to her. She will be remembered as a loving mom, sister, aunt and “Gram.” Wanda will be dearly missed by all who knew and loved her. She was preceded in death by her parents, husband, Randall Carlock and sister, Olivia Ann Stapleton. Wanda is survived by her son, David Thurmon and wife Beth; daughters, Connie Rochelle Thurmon and Leslie Carlock; brother, Gary Brown and wife Julie; grandchildren, Kristi Singletary, Bradley Klinger, Mari Hewett, Rachel Cameron, Aaron Thurmon, Kelsie Carlock, Kealah Wells, Tiana Witherspoon and Malakai Woodruff; 22 great grandchildren; 3 nieces and 2 nephews.